Moving to a new home can be an extremely overwhelming experience, even when you have a few months’ notice to start organizing all the details of the process. However, life doesn’t always go as planned, and there may be a time where you need to figure out how to move quickly—without letting the stress of the process get the best of you! While it may seem like an impossible task, the team at ITS Global Relocation Services is here to put your mind at ease and give you a few tips and tricks on how to move efficiently even when you only have weeks (or days!) instead of months to plan. If you find yourself up against a tight relocation deadline, take the following advice into account to simplify the process. Be Ruthless With Sorting and Tossing - When you have to move fast, there isn’t time to spend weeks considering what you should or should not take with you. You will need to be strict and determined when sorting out your household items, and make it a point to donate, sell, or toss anything that is unneeded or no longer functional. After all, the less stuff you have, the less packing you have to do! 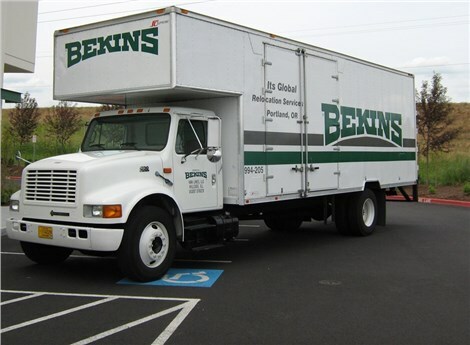 Call in Reinforcements - If you’re in the category of last-minute movers, you will need some backup to meet your deadline and get through the whirlwind process of relocation. So, now is the perfect time to call in a favor to friends and family that can give you a hand with the packing, sorting, and cleaning that goes along with moving. Invest in Hiring a Professional Packing & Moving Crew - Researching and hiring a moving company should be at the top of your to-do list when you find out that you need to move quickly, and that’s also the time to ask your provider about the packing services that they offer. Moving companies, such as ITS Global, often provide full-service options to handle the tough tasks of the process—including packing, crating, storage, delivery, and set-up of household items! When you are faced with an unexpected, last-minute move, time is of the essence, and the pros at ITS Global Relocation are here to provide you with the resources, support, and service needed to figure out how to move quickly—at a price that still fits within your budget. Give us a call or fill out our online form today, and we’ll get you started fast with a free estimate and in-home consultation.